Pokemon Card Game Just $12.98! Down From $30! PLUS FREE Shipping! You are here: Home / Great Deals / Amazon Deals / Pokemon Card Game Just $12.98! Down From $30! PLUS FREE Shipping! Amazon has this Pokemon Card Game on sale for just $12.98 down from $29.99 PLUS FREE shipping! Lycanroc-GX is ready for a fight! With the once-per-game Lycanfang-GX attack, this Pokémon-GX can help propel your deck to victory—and crush your foe’s hopes! 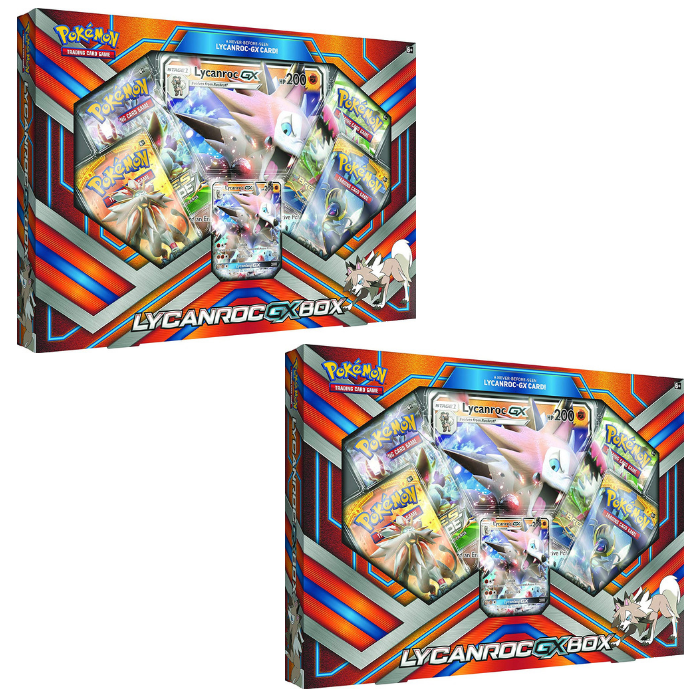 This box brings you Lycanroc-GX as both a stunning oversize Pokémon-GX and a foil promo card, because its power is hard to contain on just one card. This is fun! FOUR POKEMON TCG BOOSTER PACKS: Lycanroc-GX is ready for a fight in the Pokémon TCG: Lycanroc-GX Box! OVERSIZED FOIL CARD: featuring Lycanroc-GX, a must have for your collection! NEVER-BEFORE-SEEN FOIL CARD: Unique Lycanroc-GX also included. ONLINE BONUS CARD: Contains one code card to continue the action and play online. COLLECT AND TRADE THEM ALL: Propel your deck to victory and crush your foe’s hopes!